Remember the podcast is also on iTunes, if listening on Youtube is too inconvenient. Also, I’m doing special Q&A section on the podcast next week, since it’s a holiday, so SEND ME QUESTIONS! Movie or non-movie related are welcomed. Finally, be on the look out for a review of Justice League this weekend. It’s December, ladies and gentlemen! The year is almost over! How has your year been, because it’s been a great year for films, huh? December is also a tough month to set, because this is the big Oscar month, so a lot of films end up getting limited releases, expansion releases, and then wide releases. So if anything is off, it’s because of that. I’ll do my best to get everything where it’s suppose to go, and if not I’ll come back and update the schedule. So let’s jump right in the films that will close out the year. Following the assassination of her husband, First Lady Jacqueline Kennedy (played by Natalie Portman) fights through grief and trauma to regain her faith, console her children and define her husband’s historic legacy. The film has gotten a lot of love at the film festival circuit, and is getting a lot of Oscar buzz. It probably helped that this film has been in the works for a long time too. 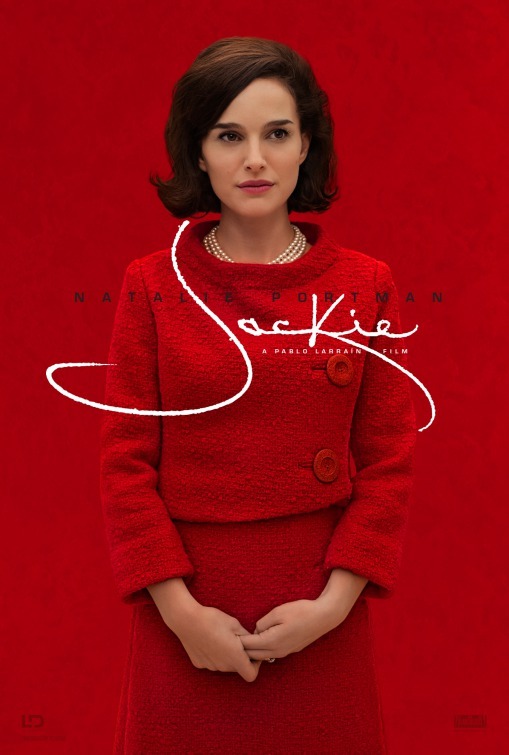 Jackie also stars Peter Sarsgaard, Greta Gerwig, John Hurt, Billy Crudip, Max Casella, Richard E. Grant, and Caspar Phillipson. 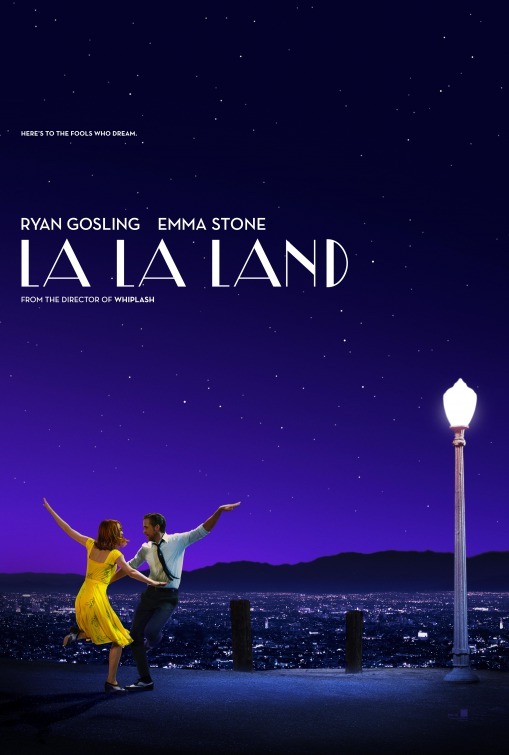 Ryan Gosling and Emma Stone reunite for La La Land which follows a jazz pianist who falls for an aspiring actress in Los Angeles. The film is getting a ton of great reviews from the film festival circuit so this one is one you should keep your eye out for. Also the trailer really gives off the vibe that the film will be a nice tribute to films of old. The film also stars Finn Wittrock, Rosemarie DeWitt, John Legend, Jason Fuchs, Hemky Madera, and J.K. Simmons. A scientist with the ability to enter the subconscious minds of the possessed must save a young boy from the grips of a demon with powers never seen before, while facing the horrors of his past. The film stars Aaron Eckhart, Carice van Houten, David Mazouz, Emjay Anthony, Matt Nable, and Catalina Sandino Moreno. When his uptight CEO sister (Jennifer Aniston) threatens to shut down his branch, the branch manager thrown an epic Christmas party in order to land a big client and save the day, but the party gets way out of hand. The film also stars T.J. Miller, Kate McKinnon, Jason Bateman, Rob Corddry, Olivia Munn, Jillian Bell, Jamie Chung, Abbey Lee, Randall Park, Matt Walsh and Courtney B. Vance. 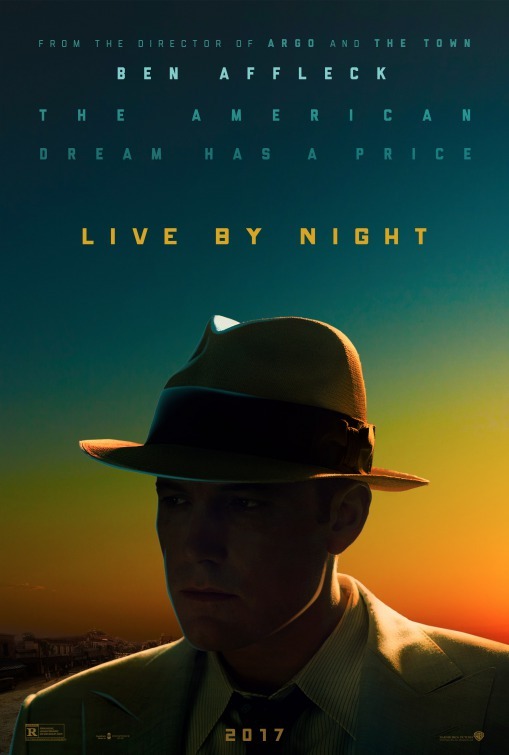 Michael Keaton stars in this film that tells the story of McDonald’s founder, Ray Kroc. I don’t think I’ve ever actually thought about the story of McDonald’s and since I’ve seen the trailer, it’s peaked my interest and I’m sure to many others as well. The rest of the cast includes Laura Dern, Patrick Wilson, Linda Cardellini, Nick Offerman, B.J. Novak, and John Carroll Lynch. An advertising executive encounters three mysterious figures who encourage him to move on from the past. The film looks like it’s going to be a powerhouse with the cast, but the idea does seem odd, and one that you can probably figure out from the trailers. Hopefully the execution works. 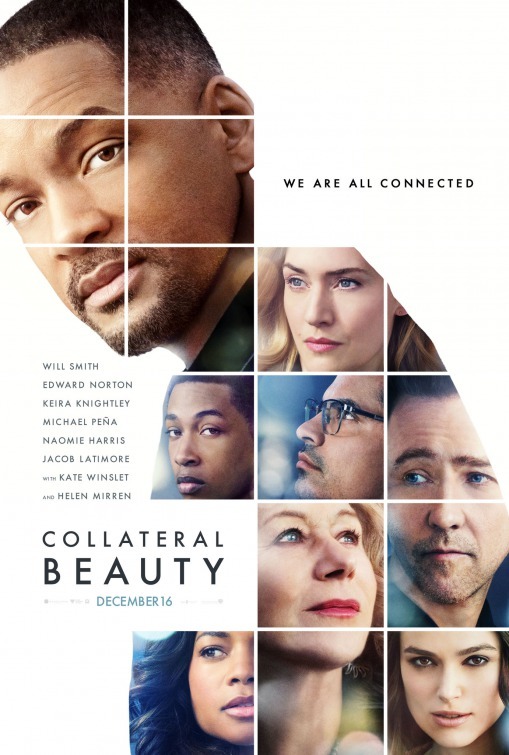 Will Smith, Kate Winslet, Keira Knightley, Edward Norton, Naomie Harris, Michael Pena, and Helen Mirren star. Gareth Edwards directs the first spinoff/standalone film of the new set of Star Wars films, which actually takes us back in time as it follows Rebels on a mission to steal plans for the Death Star. Listen, it’s Star Wars, people are going to go watch it. However, the film’s last two trailers were freaking awesome, of course the film however, will have some closer eyes as the “dirty” word in Hollywood has hit the film: reshoots. Nonetheless, the film looks great and more importantly it looks different. 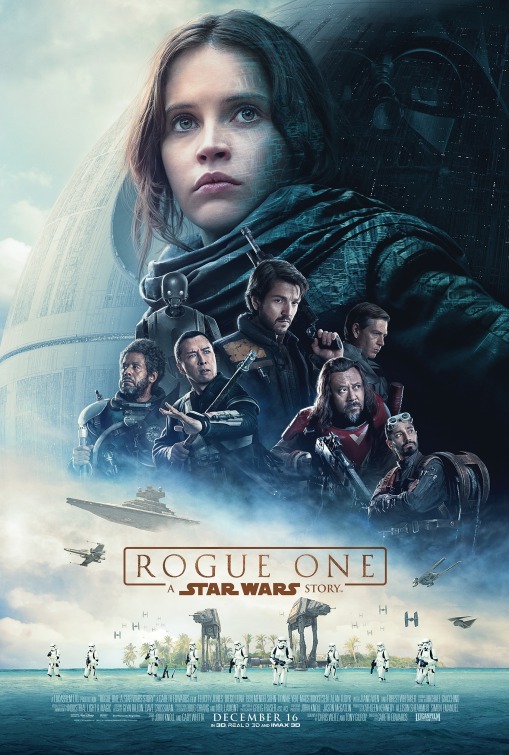 The film stars Felicity Jones, Mads Mikkelsen, Alan Tudyk, Ben Mendelsohn, Donnie Yen, Diego Luna, Riz Ahmed, Jonathan Aris, and Forest Whittaker. A koala named Buster (Matthew McConaughey) recruits his best friend to help him drum up business for his theater by hosting a singing competition. I don’t know if I’m over talking animal animated film this year, but I’m not getting behind the Sing train. 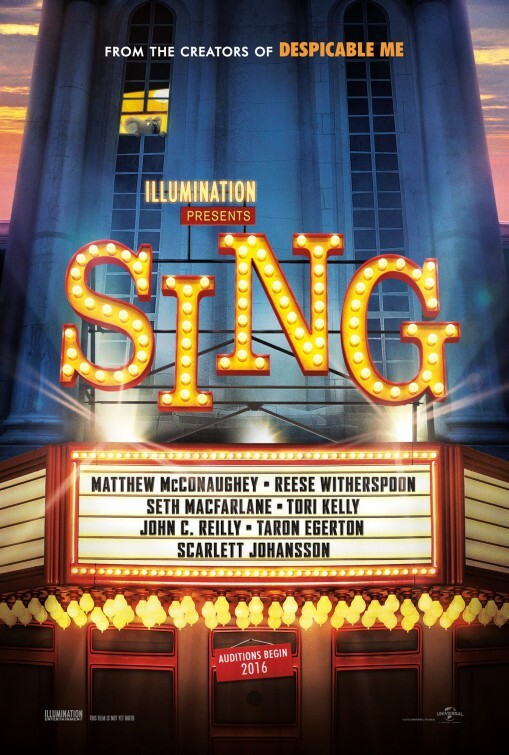 The voice cast also includes Scarlett Johansson, Reese Witherspoon, John C. Reilly, Seth MacFarlane, Taron Egerton, Nick Offerman, Peter Serafinowicz, and Jennifer Saunders. Directed by Peter Berg, the film is an account of Boston Police Commissioner Ed Davis’s (played by John Goodman) actions in the events leading up to the 2013 Boston Marathon bombing and the aftermath, which includes the city-wide manhunt to find the terrorists behind it. Berg has already made a splash this year with Deepwater Horizon with Mark Wahlberg, so I can only think that this will be either as good or just as good. 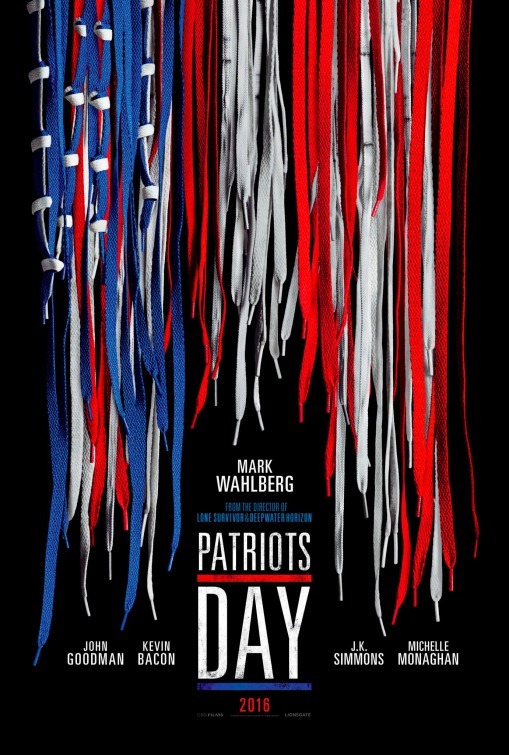 Patriots Day also stars J.K. Simmons, Kevin Bacon, Melissa Benoist, Michelle Monaghan, Alex Wolff, and Rachel Brosnahan. A spacecraft traveling to a distant colony planet and transporting thousands of people has a malfunction in its sleep chambers. 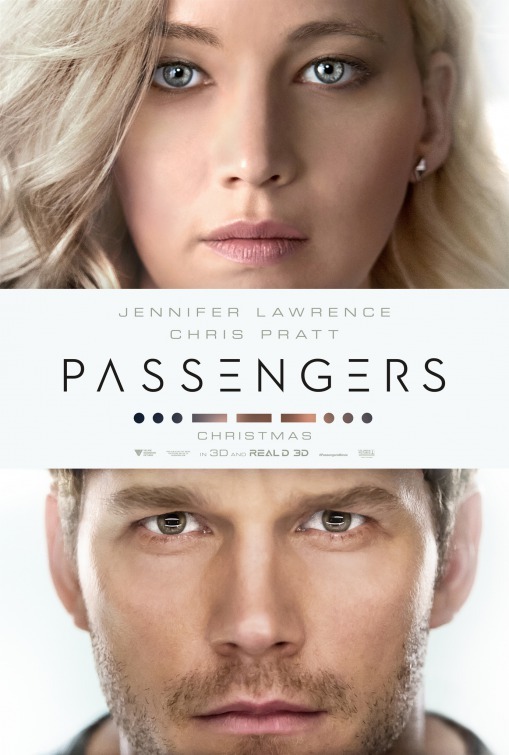 As a result, two passengers (Chris Pratt and Jennifer Lawrence) are awakened 90 years early. Two of the most liked and extremely talented actors in Hollywood are getting together for a film, and one that looks not too bad, I think we looking at a big hit here, don’t you think? Michael Sheen, Laurence Fishburne, and Andy Garcia also star. 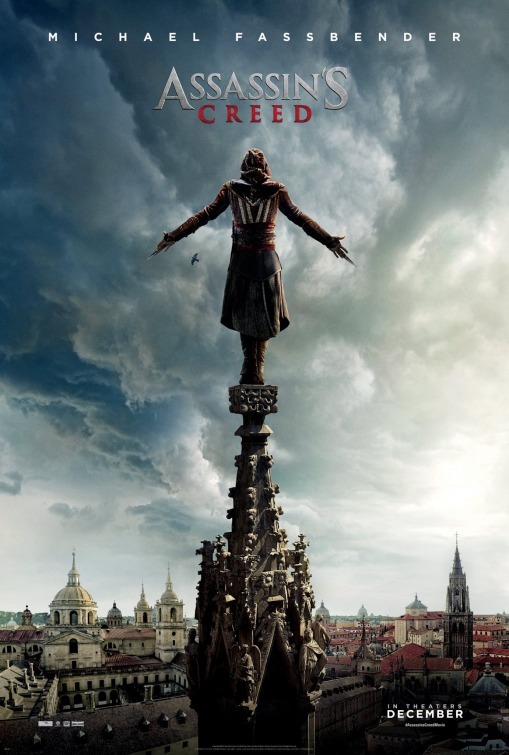 Based on the popular video game franchise, Michael Fassbender stars as Callum Lynch, who with the help of revolutionary technology that unlocks his genetic memories, experiences the adventures of his ancestor, Aguilar, in 15th Century Spain. Callum discovers he is descended from a mysterious secret society, The Assassins, and amasses incredible knowledge and skills to take on the oppressive and powerful Templar organization in the present day. Justin Kurzel, who directed the well-received and great film Macbeth, directs and reunites not only with Fassbender but Marion Cotillard as well. The film also stars Jeremy Irons, Brendan Gleeson, Ariane Labed, Mathias Varela, Brian Gleeson, and Michael Kenneth Williams. 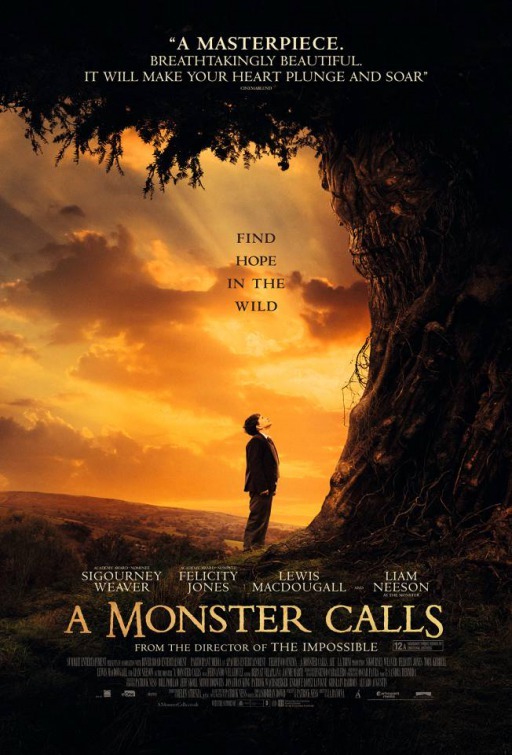 Based on a script and book by Patrick Ness, A Monster Calls follows a boy as he seeks the help of a tree monster to cope with his single mom terminal illness. The film stars Liam Neeson as The Monster, Felicity Jones as the Mother, Sigourney Weaver as the Grandmother, Toby Kebbell as Dad, and Lewis MacDougall as the boy and Lily-Rose Aslandogdu as Lily. The film looks fantastic and I can’t wait to see how it does. The limited release is due to Focus Features trying to get the film an Oscar run. The film will come out early next year. 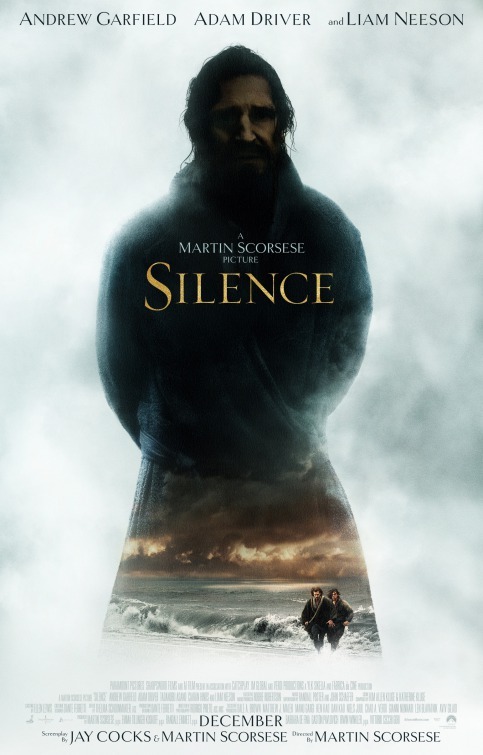 Directed by Martin Scorsese and based off the novel by Shusaku Endo, the film is set in the seventeenth century, where we follow two Jesuit priests that face violence and persecution when they travel to Japan to locate their mentor and propagate Christianity. The film has been looking for a release date and what better date to come out in than in December around Oscar season right? The film stars Liam Neeson, Andrew Garfield, Adam Driver, Shin’ya Tsukamoto and Tadanobu Asano. 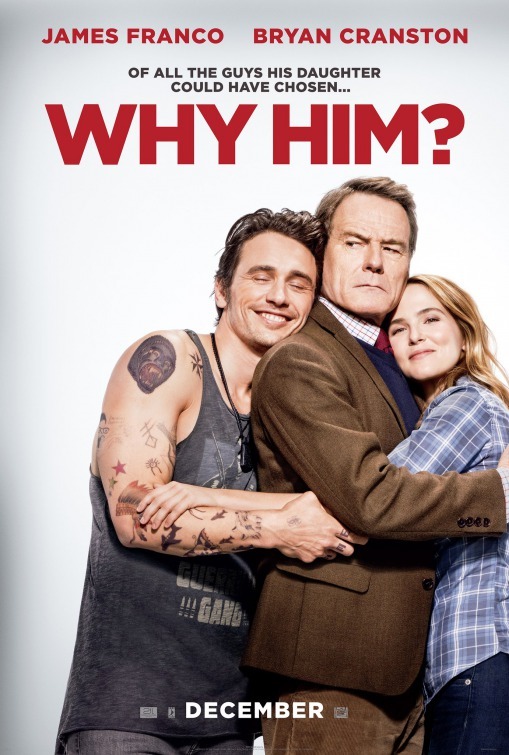 A dad (Bryan Cranston) forms a bitter rivalry with his daughter’s young rich boyfriend (James Franco). The film looks decently funny, at least we can hope, and seeing Cranston on the big screen is always nice – even if it’s a film like this. The film stars Zoey Deutch, and Megan Mullally. The story of three women who explore love and freedom in Southern California during the late 1970s. The film stars Annette Bening, Elle Fanning, Greta Gerwig, Alia Shawkat, Laura Wiggins, and Billy Crudup. Set in the present in Paterson, New Jersey, this is a tale about a bus driver and poet, who also happens to be named Paterson (Adam Driver). I saw the trailer for the first time recently, and it looks like a great little indie film that will showcase Adam Driver. Based on a true story, a team of African-American women provide NASA with important mathematical date needed to launch the program’s first successful space missions. 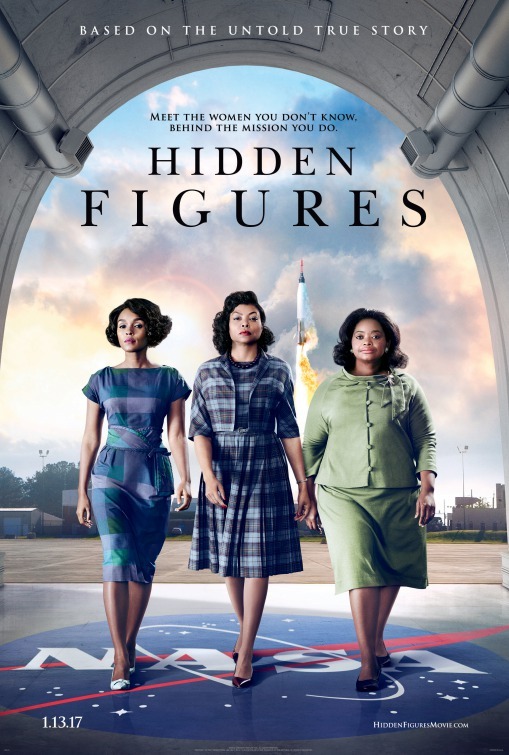 The film stars Taraji P. Henson, Octavia Spencer, Janelle Monae, Kristen Dunst, Jim Parsons, Mahershala Ali, Aldis Hodge, Glen Powell, and Kevin Costner. 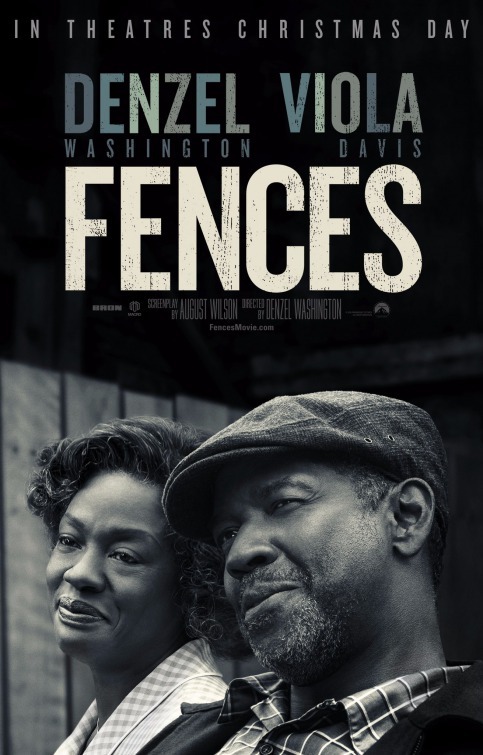 Based on the play by August Wilson, and directed by Denzel Washington, Fences follows an African American father who struggles with race relations in the United States while trying to raise his family in the 1950s and coming to terms with the events of his life. The film stars Washington, Viola Davis, Mykelti Williamson, Russell Hornsby and Stephen Henderson. I’m just going to start off by saying; this is one of the most ridiculous movies I’ve ever seen, and it probably has to do with the fact that it’s an R-rated animated film from Seth Rogen and Evan Goldberg. 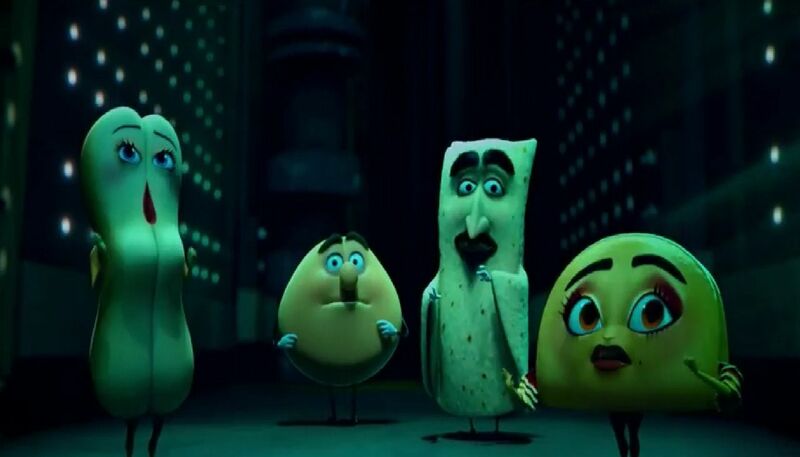 However, there is surprisingly a lot more to Sausage Party than the ads will have you believe. While the selling hook is “food finds out what happens when they really go home with humans,” the film takes a rather strong approach to something that is controversial to talk about: religion. 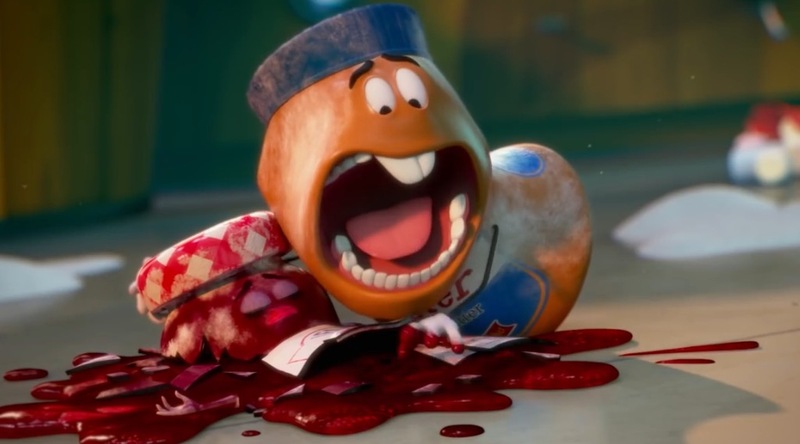 Sausage Party follows the food at a Shopwell supermarket, who every morning, sing – yes – sing about their hopes of being picked by the gods (humans) so they can go to the “Great Beyond” (outside the supermarket). The main focus is Frank (Rogen), a hot dog, who believes that he’ll finally be chosen on Red, White and Blue Day, and that his girlfriend Brenda (Wiig), hotdog bun) will go with him. Not being able to wait too long, they stick their hands out and “touch tips.” However, when they do get picked, they get into a shopping cart accident that leaves them and Douche (Kroll) – yes a Douche – falling back into the aisle, and getting left behind and unable to see The Great Beyond. What follows is Frank figuring out what really happens to food when they go to the Great Beyond, which questions everything he, Brenda, Douche and everyone else thinks about the “gods.” Meanwhile, Frank’s friend Barry (Cera), who stayed in the cart, gets a firsthand experience of what happens when you really go come to the gods, and has his own adventure. Like I mentioned, this is one of the most ridiculous movies I’ve ever seen, and you guys know I watch a lot of movies. I really didn’t even know how I was going to review this without spoiling something or just ruining the experience for you guys. I will say the death scenes (?) are somewhat disturbing to watch, but in a good and funny way. They do come off like a horror movie, but you can’t help but laugh along with them because they are so creative, and you never get old which is a huge plus. There are moments in the film that will leave you questioning where the film is going, but then they hit with another big joke that makes you seem to forget that. Also, like I mentioned, the film tackles a surprising subject in religion. I don’t get to into how they approach it, but it was surprising that Rogen, Goldberg, Shaffir, and Hunter went in that direction. They could have easily went the easy route of food freaking the hell out about finding out they actually get eaten when the go to the “Great Beyond” by their “Gods.” But just because we know Rogen and Goldberg for doing stoner comedies, it doesn’t mean the film is an atheist film. It actually brings up a worthy conversation, and doesn’t just dismiss it. It does to some extent, but it loops it back around in the end to give you the two points. Of course, all that only matters if you are either a religious person or at least know and understand some aspects of it. So Sausage Party gets points in my book for doing something comes out of left field that I’m pretty sure no one saw coming. It also has some comedic political jokes that got a good laugh out of my showing. That isn’t to say the film isn’t funny, there are some great jokes throughout the whole film, and is one of the funniest films of the year so far. Is it for everyone? Hell no! One reason is definitely a scene at the end of the film that I won’t even tease, but if you saw the film you know what I’m talking about, and if you watch the film, you’ll know exactly what I’m talking about. It’s uncomfortably long, but in a way that makes sense for the film. 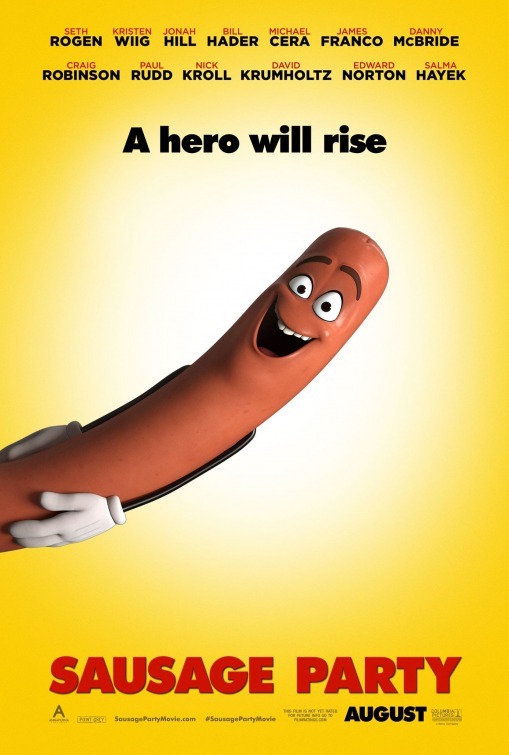 All in all, Sausage Party is not for everyone, but you should know what you are expecting considering Seth Rogen and Evan Goldberg are involved. The film is something else that I’m sure most people watching will find odd, but it somewhat works for the film. The voice cast is spot on, and Sausage Party will definitely have you thinking twice about the food you eat later that day. Did I mention it was ridiculous?